Little ones between 2 and 5 years of age are fascinated with opening and closing things. What’s closed must be opened and what’s open must be closed. Discovering what’s inside is always a surprise, stimulating a child’s curiosity and, in turn, their love of learning. 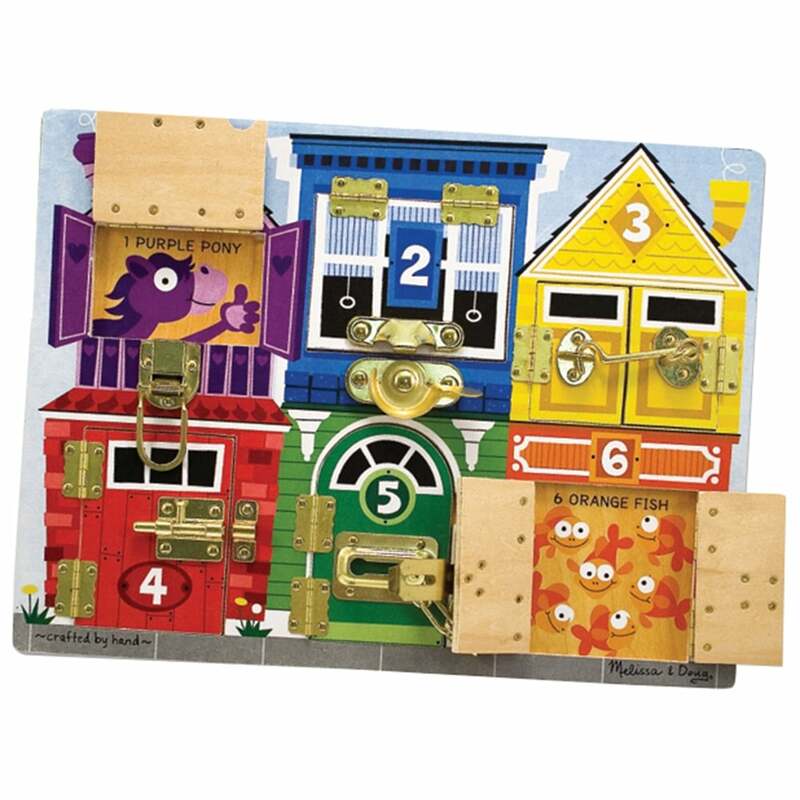 All six real brass latches are completely different, testing a child’s problem solving ability and fine motor co-ordination as they slide, twist, turn, hook and unhook the latches. Each door has brass hinges and both products are wooden and beautifully painted. This toy can be played on a table top, the floor or on a child’s lap when travelling. As a door is opened it reveals a colourful picture of some animals matching the number on the door such as one purple pony and six orange fish. Great for learning about colour and counting of objects while strengthen fine motor skills and eye-hand co-ordination necessary for handwriting. 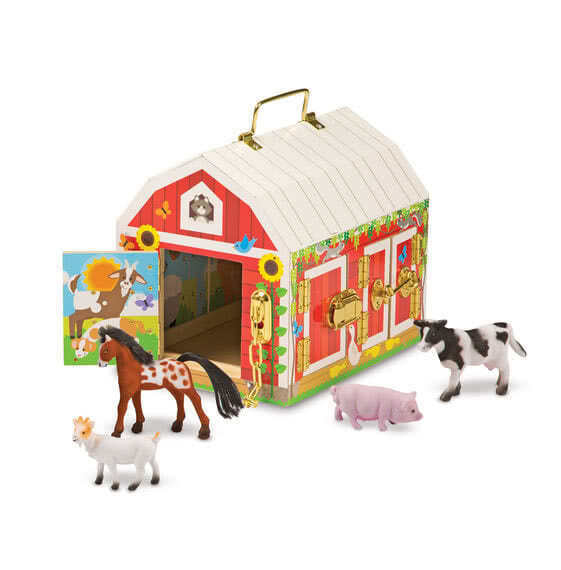 As a child opens up the different brass latches the doors to the barn open enabling them to get hold of the animals.